* Originally designed for the AR15/M16A1 rifle. on the TSR100 and TSR200 for the Ruger®10/22. NOTE: Does not adjust TSR200 Aperture for elevation. 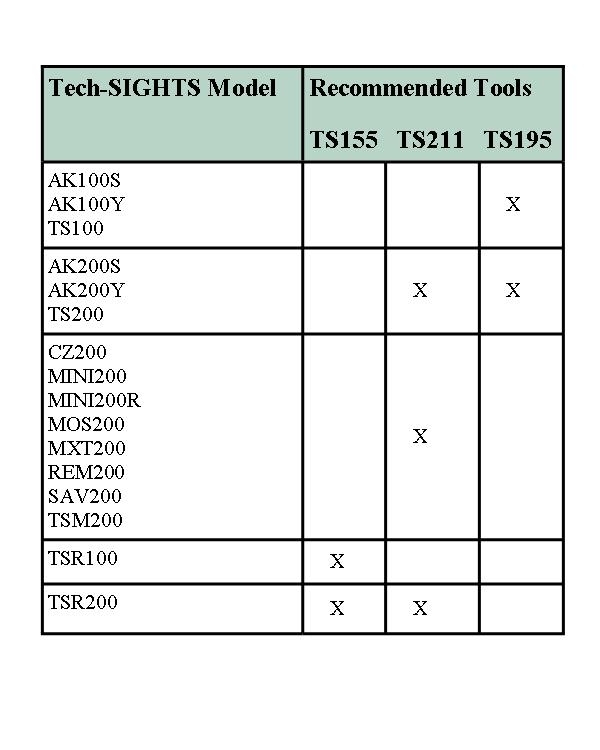 See TS211 tool.